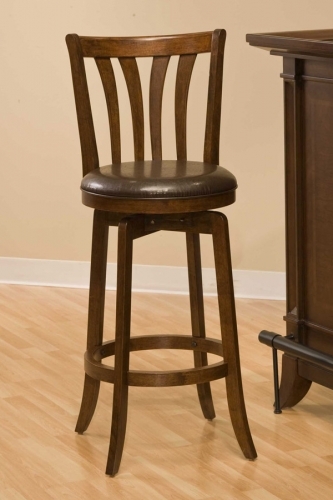 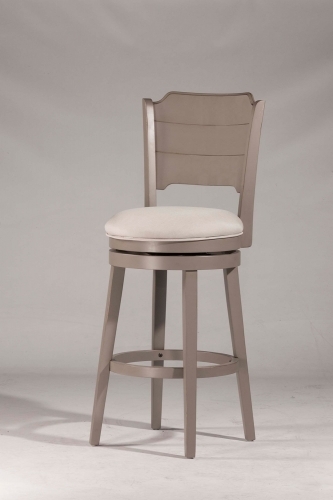 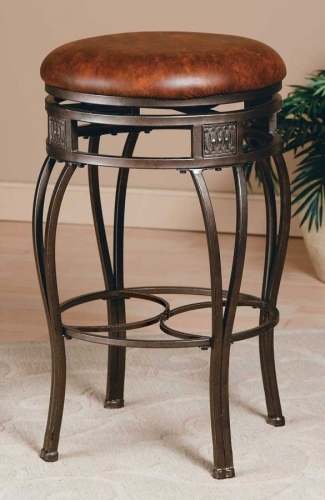 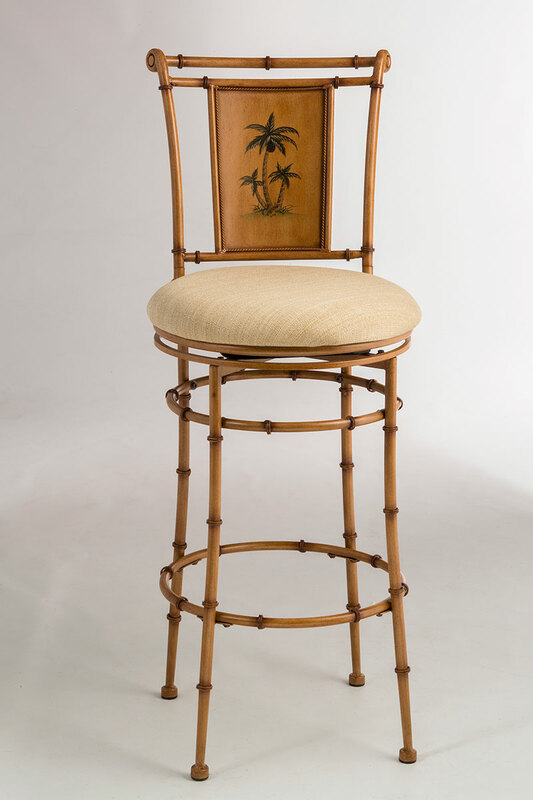 Feel the breeze off the ocean and smell the salt air as the West Palm swivel stools, by Hillsdale Furniture, bring the Islands into your home. 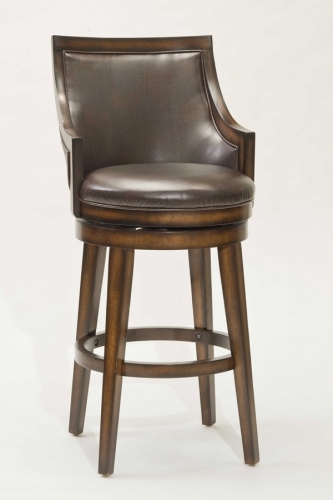 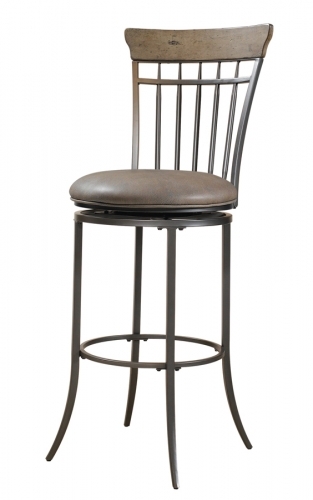 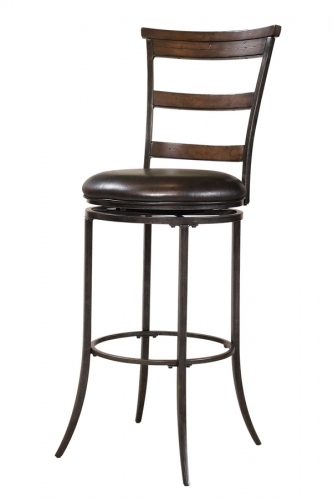 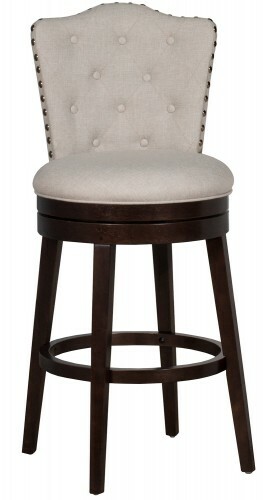 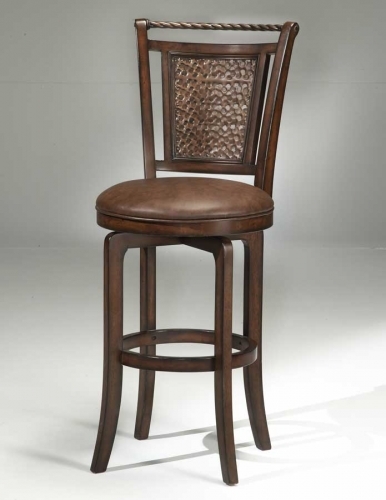 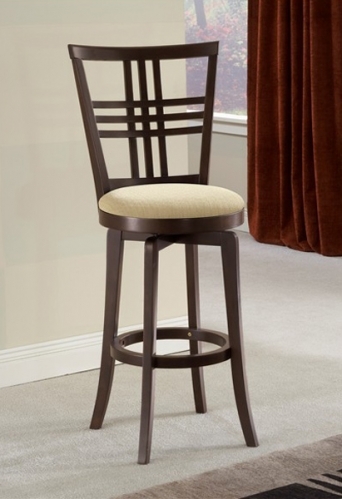 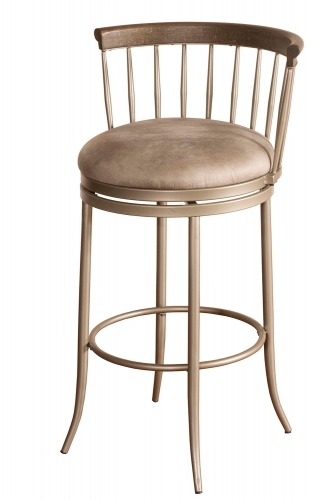 These stools give the appearance of bamboo with the sturdy construction of metal and a burnished brown finish. 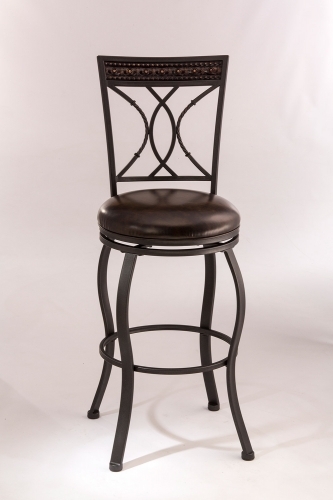 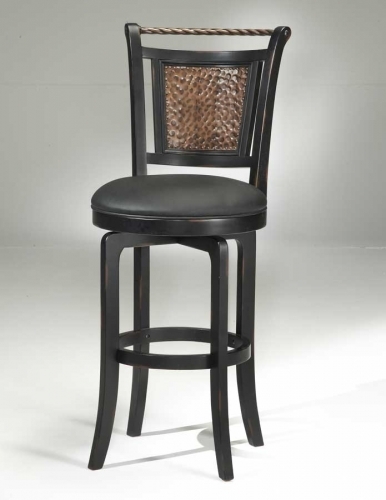 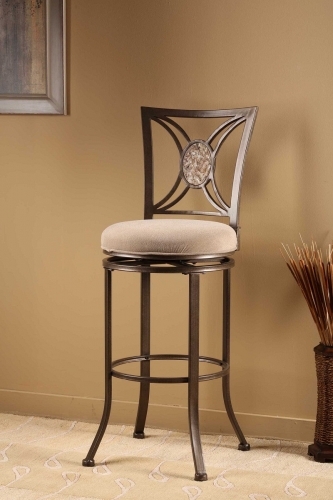 The hand-painted palm trees that accent the 360 degree swivel stools are exquisite and add a splash of color.